Poverty has fallen dramatically in Belarus, but some groups remain vulnerable, particularly single-parent households and families with more than three children. While medical services are free, modern administration and planning are in early stages. 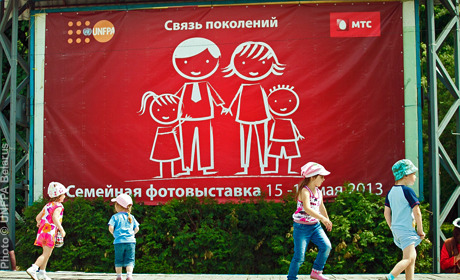 Active in Belarus since 1994, UNFPA assists in building capacities to produce and apply quality data on reproductive health, and population and development issues. It helps forge government and civil society partnerships, and advocates policies prioritizing vulnerable groups and protecting the rights of individuals. UNFPA programmes also support measures to prevent domestic violence.